The 80th Annual WSO Convention will take place from Friday, May 24 through Monday, May 27, 2019, in the Eau Claire area in the west-central part of the state. Our local co-host for the event is the Gaylord Nelson Audubon Society. Blocks of rooms are now on hold and open for advance reservations at two area hotels. Individuals are responsible for making their own lodging reservations. Additional detail on the hotels is included later in this article. Convention pre-registration will open on March 1 and continue through April 15. The convention headquarters will be the River Prairie Center in Altoona (just east of Eau Claire) where most Friday and Saturday activities will be held. This includes convention registration, meetings, presentations, plus the Saturday noon luncheon and Saturday evening banquet. The convention will continue on Sunday with all-day field trips and extend into early Monday afternoon with additional field trip options. The River Prairie Center is only minutes from downtown Eau Claire on a beautiful bend in the Eau Claire River. The address is 1445 Front Porch Place in Altoona. (Google Map) The overall River Prairie development also features convenient access to a coffee company, gastropub, saloon, gas station, and lodging. Convention registration will be at the River Prairie Center on Friday afternoon, May 24, from 1:00 p.m. to 7:00 p.m., and continuing on Saturday from 10:00 a.m. to 1:00 p.m. There will be a picnic supper on Friday from 4:00 to 6:00 p.m. Friday evening will also feature the opening welcome by the WSO president followed by the annual Passenger Pigeons Awards ceremony. All Friday activities are included with your registration fee. Saturday will begin early with local field trips, returning in time for the noon luncheon, the annual WSO business meeting, and afternoon presentations and/or workshops. These activities are all included with registration. Saturday evening will include a social hour followed by the evening banquet and a keynote presentation. As in past conventions, this banquet is covered by a separate charge which is not included with the standard registration fee. Sunday will feature all-day field trips by car caravan or bus. These trips will return in time for an optional evening “Birds and Beverages” get-together at a local establishment yet to be determined (pay on your own). Monday (Memorial Day) will feature additional field trips by car caravan. Tentative plans are for a few local field trip opportunities at popular areas from Saturday, plus outbound trips that will get participants headed back in various directions towards home. CONVENTION ROOMS are on hold at special rates for the following two locations for Friday, Saturday, and Sunday nights, May 24-26. Room rates shown below do NOT include tax. Call these hotels using the telephone number shown, give the desired dates, and then mention WSO to receive the block rate. Please check with them on their individual cancellation policies when you book your room. Please be advised that if you wait until after the release date or if all rooms become reserved, you may end up paying a much higher room rate at these locations. We have 40 studio suites with one queen bed at $104.95 per night. These suites include a full-sized fridge, microwave and dishwasher. They also have a pull-out sofa and can accommodate up to three people at this rate. This hotel is walking distance (about one block) from the convention meeting site. This block rate expires on April 23, 2019. We have 30 king and double queen rooms at $114.95 per night. This rate is for two occupants with an additional charge of $20 for any extra occupants. Room amenities include a microwave and mini-fridge. This hotel is about seven miles (15 minutes) from the convention meeting site. This block rate also expires on April 23, 2019. 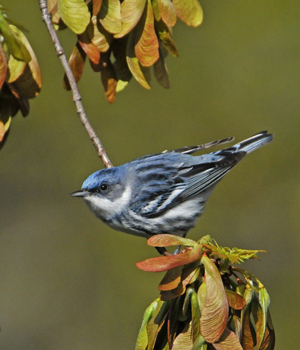 Spring weather patterns are always an unknown, but many species should have arrived on their breeding territory by the May 24-27 convention dates, and there should also be a variety of late migrants still on the move. There are many great birding destinations in and around the Eau Claire area. This includes some of the most important floodplain habitats in the upper Midwest as well as locations where the Trempealeau and Chippewa Rivers flow to the mighty Mississippi. Saturday morning field trips will include the Dunnville Wildlife Area, Beaver Creek Reserve, Tiffany Bottoms, and Augusta Wildlife Area, among others. Areas a little farther afield that are being considered for the all-day field trips on Sunday include the Pershing Wildlife Area and Trempealeau National Wildlife Refuge. Tentative destination (homeward bound) trips on Monday morning will head in the direction of the George W. Mead State Wildlife Area, Sandhill Wildlife Area, Buena Vista Grasslands, Black River State Forest, and possibly others. Plans are also in the works for a unique "birding by rail" field trip into Tiffany Bottoms on Sunday morning hosted by the Chippewa Valley Motorcar Association. This special railcar trip will require an add-on cost and will be a part of only one of the Sunday field trip caravans since capacity is limited. Please watch for additional information in future Badger Birder newsletters, on the WSO website, and on various WSO organization social media platforms. Please contact Dar and Cathy if you have any questions.